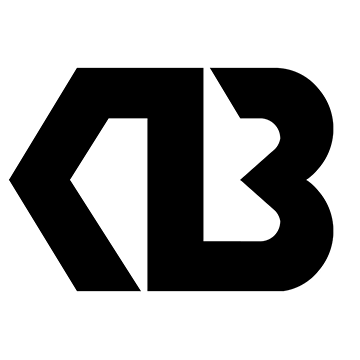 The logo is an amalgamation of the letter K and the number 13. And the thirteen reasons why I chose the number 13 is listed below. I was born on the 13th day of the month. It’s a number in the Fibonacci series. A Fibonacci series is a series of numbers in which each number is the sum of the two preceding numbers. It’s one of the only 3 known Wilson primes. A Wilson prime is a prime number p such that p^2 divides (p − 1)! + 1, where “!” denotes the factorial function. A happy number is a number whose sum of the squares of its digits stabilize at 1 without looping forever. It’s the smallest emirp number. An emirp ("prime" spelled backward) is a prime whose reverse is also prime, but which is not a palindromic prime. It’s the total number of Archimedean solids. Archimedean solids are semi-regular convex polyhedrons composed of regular polygons meeting in identical vertices. It’s the starting year of a teenage life. This is the first year a person is considered a teenager. It’s considered a lucky number in Italy. In Italian, the expression “fare tredici” (meaning “to do 13”) means hit the jackpot. It’s the number of ranks in a standard card deck. In a deck of playing cards, there are 4 suits (clubs, diamonds, hearts, and spades) each of 13 ranks. It’s the number of lunation in a year. In a solar year, the Moon orbits the Earth 13 times. Also, the Moon travels across the sky every day by 13 degrees. It’s an important day in the Hindu calendar. In Hinduism, Pradosha Vrat (meaning “fast”) is observed on Trayodashi (13th lunar day) in honour of Lord Shiva. It’s the number days of mourning in Hinduism. In Hinduism, tehravin (13th day) marks the final day of mourning and the soul detaches itself to attain peace. It’s because I don’t suffer from Triskaidekaphobia.